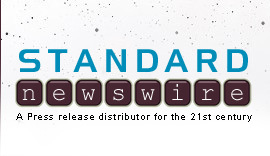 KANSAS CITY, Mo., June 12, 2018 /Standard Newswire/ -- VolunteerMark announced today that they've added several new features to its web-based volunteer management software program. These enhancements will provide users with even greater ability to coordinate, communicate and manage their volunteer base while improving the user experience. "One of the tools our clients have been asking for is the ability to quickly cover positions when volunteers have to cancel. We answered that request by developing a backup bot that automatically provides the names and contacts of available volunteers that signed up for the position's waitlist. Already we've received incredible feedback on how much time and stress this feature is saving people," said VolunteerMark president, Dominic Ismert. In addition to the backup bot, coordinators can now upload documents to the new volunteer checklist such as background checks and waivers. To streamline processes, software engineers added the option to send email attachments within the software, the ability to approve and deny notifications directly through email without the need to login to the software, and a feature that delineates problems with Internet connectivity vs. software issues. "Listening to the needs of our clients is what's allowed VolunteerMark to grow and constantly improve. The coordinators and volunteers use the software every day and best know what features and tools they want, and there's a great satisfaction when we can make their jobs easier," Ismert added. All of the new features are immediately available for both current and future users for all pricing plans. Sign up for a free trial at www.volunteermark.com. VolunteerMark is an online volunteer management software company located in the heart of Kansas City. Our mission is to provide nonprofits safe, secure and affordable software to train, manage and recruit volunteers along with cutting-edge reporting tools. Always free for volunteers, VolunteerMark is dedicated to improving the processes of nonprofits. We focus on the software so organizations can focus on their mission.